THEY say an apple a day keeps the doctor away. 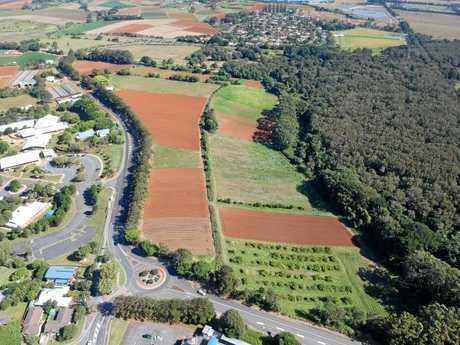 Tweed farmers are taking the old adage to the next level, proposing to develop a rooftop garden on the new Tweed Valley Hospital, claiming it could produce more food than the red soil on the Cudgen site ever could. In a meeting last week of the Combined Tweed Rural Industries Association - a lobby group representing the Tweed's 1100 farmers - members unanimously voted to support a proposal to pursue the idea of creating a rooftop garden above the new hospital. According to their idea, produce grown in the rooftop greenhouse could include everything from vegetables and salads to flowers to be used by patients and visitors at the new hospital. The project is based on similar concepts around the world, most notably in the US and The Netherlands, where hydroponic food production is common place. Precedence has already been set in the US, where a 650sq m rooftop garden above the Boston Medical Centre produces everything from tomatoes and kale to carrots, cucumbers and honey for patients to enjoy. US company Gotham Greens recently expanded their production to create the largest rooftop garden in the world - atop a factory in Chicago - which produces 10 million crops of pesticide-free, leafy greens each year. 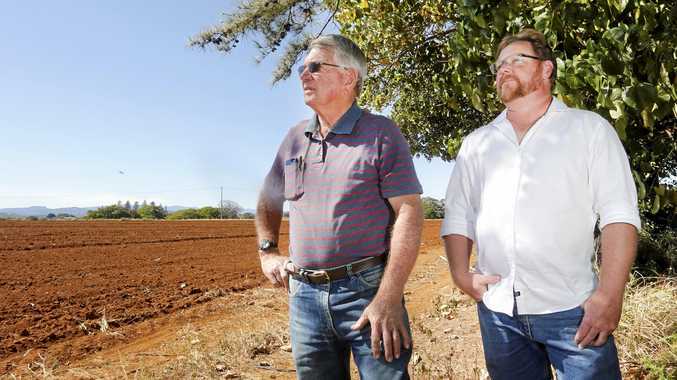 CTRIA president Col Brooks - whose family have farmed the Tweed Valley for several generations - hoped the proposal might ease the concerns of residents lamenting the loss of State Significant Farmland on the Cudgen Plateau. "Hopefully we can get in at the very early planning process of building the hospital and have plans made to build a greenhouse on top of the hospital to produce high-quality food, which will alleviate some of the concerns about a loss of food production from this little bit of land," Mr Brooks said. "It will be able to produce a much greater variety of food and a higher standard of food. Hopefully it would alleviate some of their concerns if there is a structure that could produce far more than this bit of red dirt ever did, and ever could." 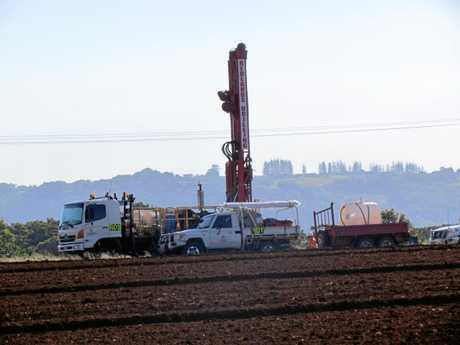 Mr Brooks said the idea had sprung from a workshop with Tweed Shire Council over the shire's proposed Rural Land Strategy, where they researched food grown hydroponically overseas. "The second highest producer of food in the world is The Netherlands," he said. "In The Netherlands they have glasshouses everywhere, in the cities, on top of buildings and they have reduced their chemical input by 97 per cent. 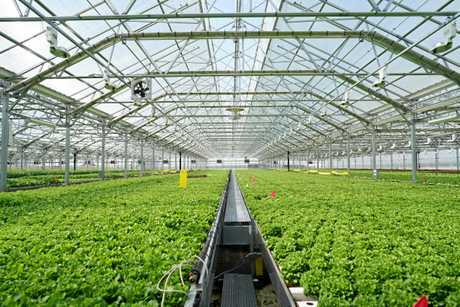 "Their ratio is of one acre of hydroponically-grown lettuce is equivalent of 10 acres out in the field. There is an enormous difference in the food that can be produced in a glasshouse to what you can produce in the paddock. We thought this was a brilliant idea." Mr Brooks said this was a "golden opportunity", suggesting the project could tap into the Tweed's significant farming knowledge and involve horticulture students from across the road at Kingscliff TAFE. "We would see good quality goods being produced which could be used in the hospital itself. It is really a win-win solution," Mr Brooks said. CTRIA spokesman Dion Andrews, who has been appointed to Health Infrastructure's new community panel, said the project would be self-sustainable, using solar power and reticulated water, reducing the eco-footprint of the hospital. "We have a lot of farmers out there who are willing to put their brainpower and a bit of their time into helping out and do what they can," Mr Andrews said. Tweed MP Geoff Provest welcomed the proposal of what he termed a "novel idea". "I'm very interested to explore the possibility," he said. "There will be a lot of technical things with it, but I would support it, it is a novel idea." Mr Brooks said the group would seek funding to establish the rooftop garden, with ongoing costs able to be recouped from selling the produce. "I don't really see why Health Infrastructure would turn this down," he said.